As a small business owner, late payments are likely to be one of your biggest pain points. Recent YouGov research shows that 85% of you have been subject to late payments in the last two years. The payment company Bacs has seen a near doubling of money owed to small businesses since 2007. Satago tackles this subject head on by providing Sage One users with the tools to combat late payments and ensure you get paid on time. 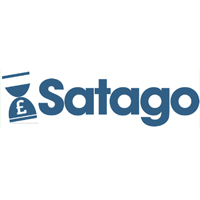 Satago’s solution to late payments provides an innovative take on credit control. 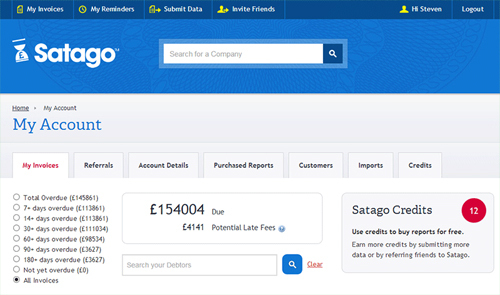 Typical credit control solutions will let you know who owes you money and how overdue this money actually is and Satago offers this as a matter of course. Satago differentiates by adding a social aspect to credit control – one that I’ve not seen before. You can anonymously share with the rest of the Satago community, direct from Sage One, when your customers paid you versus the agreed terms. If a particular customer is persistently problematic, Satago has this information at hand for anyone else who is about to deal with that company. In exchange for sharing this information, you can access ‘payment behaviour’ about other companies before you deal with them. Allowing you to more accurately plan your cash flow or agree better terms. What’s more, Satago will soon be taking even more pain out of credit control, by automating the process of chasing your debtors. They can automatically send customised, escalating email reminders and letters in the post as the debt ages. This service will also be free of charge in exchange for anonymously sharing your customers’ payment information. Satago have brought a very interesting proposition to Sage One. Cloud computing has made it possible to add a social slant to the age old problem of credit control, one that wasn’t possible to all intents and purposes only a few short years ago. Innovation like this can only be to the benefit of the small business owner! To read more about Satago visit the Sage One Add Ons page.